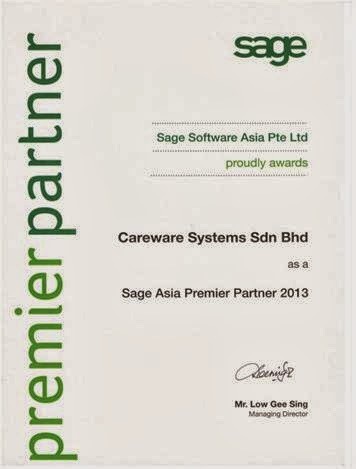 CareWare awarded Sage Asia Premier Partner at Sage Vision 2013 held in Ho Chi Minh City, Vn. 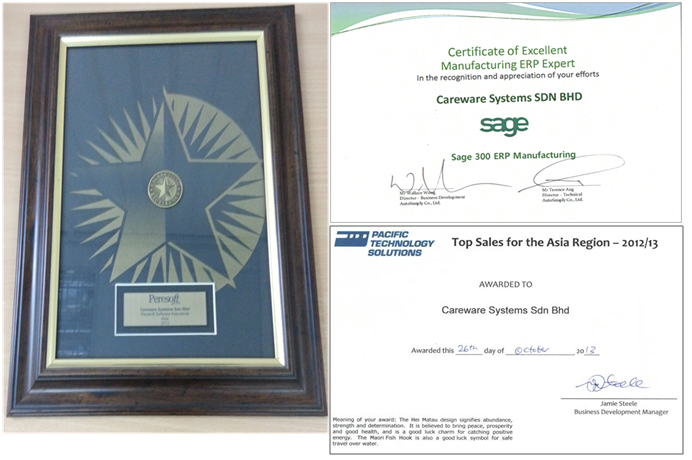 Careware Systems Sdn Bhd named number one provider of Sage 300 ERP in Malaysia at Sage Vision Conference 2013. 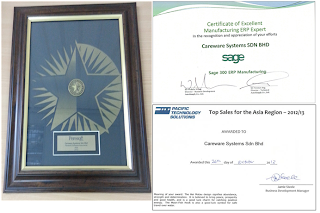 Ho Chi Minh City, Vietnam – October 26, 2013 - At the Sage Vision 2013 Conference held at Ho Chi Minh City, Vietnam, Sage Asia Pte Ltd has awarded Careware Systems as the Asia Premier Partner 2013 and has been acknowledged as number one provider of Sage ERP Solutions in Malaysia. 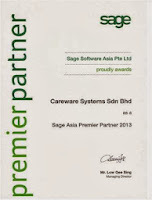 This makes Careware the Top 3 Premier Partners in Asia. This is certainly a resounding testimony to Careware’s team of dedicated staffs. In addition to that Careware Systems was also bagged three (3) other awards at the conference. 3. Peresoft Cashbook Top Software Assurance Asia. Congratulations to our staffs for their dedications and supports in achieving our goal as Malaysia #1 again. 1. 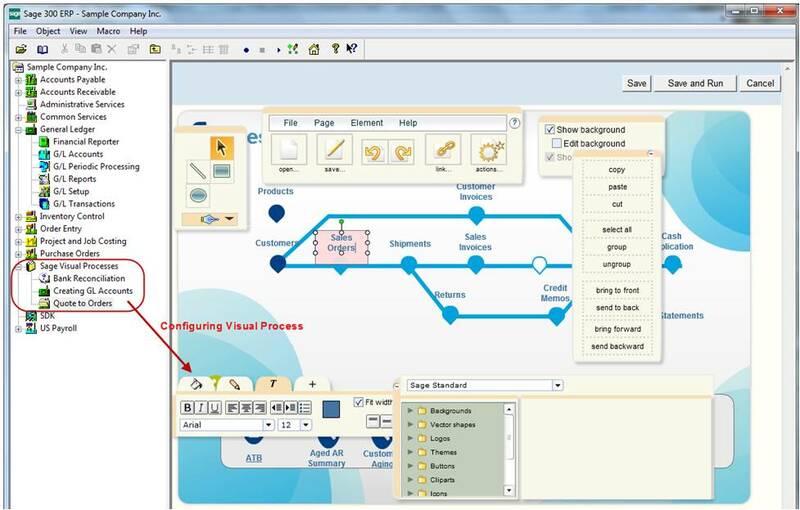 Visual Process Flows: Sage ERP provides standard and customizable process maps for every function within Sage ERP. This makes it easy to navigate, step by step, through the system without typical complexities of ERP systems. Get new employees up to speed quickly and into productive mode with the easy to follow visual roadmap. 2. Dashboards: Sage ERP wins big with dashboard and critical information you need to monitor the pulse of your business on a single page. You can run queries and personalize your data within the dashboard. Top executives can view big picture data and drill into specific details of a transaction without navigating through the system. 3. Anytime, Anywhere: Sage ERP is flexible to run on a Windows client or a web browser with the same access and functions however and wherever users choose to connect. This allows you to take your business on the road! 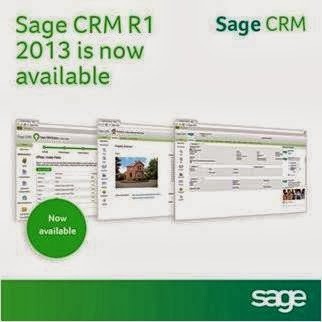 Sage CRM R1 2013 means easily, adaptable CRM for SMBs. It brings new social, mobile and business collaboration features. The latest release includes Sage CRM Builder, which enables you to transform how your business uses Sage CRM in just five simple steps. The enhanced mobile suite includes Sage CRM Sales Lite for iPhone and Sage CRM Sales Tracker for Windows 8; the Social CRM suite adds Facebook to its current social capabilities; and Sage CRM R1 2013 now enables business collaboration across teams with social features powered by Yammer. Visit http://bit.ly/18ssrdP for more information. We're delighted to announce the premier event for the Sage Business Solutions for 2013 in Malaysia. As the premier event for the Sage Solutions for Sage’s customer, Sage Solutions Day 2013 is where opportunity and innovation meet to deliver real business value. The event are designed to be informational and educational, showcasing three Awards wining Sage Solutions software products, including Sage 300 ERP 2012 (formerly Sage Accpac), Sage CRM, and Sage ERP X3. The seminars contrast the features and functionalities of each application related to Accounting & Distribution, Enterprise Assets Management, Manufacturing Management, Project Accounting, Business Analytics- reporting and more. You will discover the full potential of Sage’s Business Solutions. These half day events are well worth the time to see three solutions at once. Attend this valuable FREE seminar to learn how to put the POWER of SAGE ERP to work in your business today. Sage CRM - the right tool for the job! Watch this short video on the benefits of using Sage CRM Workflows created by Sage CRM Business Partner Dan Cousins at DCAA . 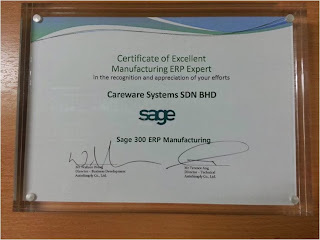 Nufarm Malaysia chose Careware to implement the new version of Sage 300 ERP with its manufacturing module. 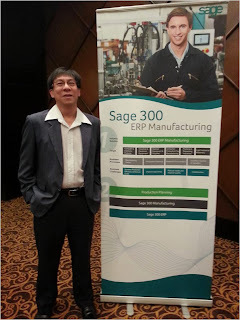 Nufarm Malaysia Sdn Bhd upgrade to Sage 300 ERP latest version with its manufacturing module to help managed production cost. Nufarm Malaysia is a subsidiary of Nufarm Limited, which is listed on the Australian Stock Exchange is a world top 10 crop protection company witch manufacturer of generic agro chemical company. operations in Australia, Asia, North & South America and Europe. Nufarm Malaysia offer a diverse range of products including herbicides, insecticides, fungicides, adjuvants and plant growth regulators to the agricultural and turf markets nationwide. In looking to streamline business processes and efficiently pursue its head office reporting requirement, the company implemented Sage 300 ERP as its enterprise resource planning (ERP) system. In many areas of the business, the company has taken advantage of Sage 300 ERP to generate cost reductions and efficiencies. The previous old system could not accurately measure the manufacturing cost. By implementing Sage ERP, Nufarm has the ability know the actual costs and adjust the budgets and manufacturing process accordingly." Sage 300 ERP is an ideal solution for Nufarm. The manufacturing module is fully integrated with the sales, purchasing, inventory and finance components. It will provide accurate, up to date and relevant business and process information to the management team and assist in budgeting, forecasting and daily decision making. Ultimately Nufarm chose Careware for its experience and focus in the process manufacturing industry, and the functionality, flexibility and comprehensive list of modules available with the Sage 300 ERP (formerly Sage Accpac ERP) solution. Sage 300 ERP will enable the company to have visibility for its managements and staffs into product manufacturing cost and delivery status, price inquiry, stock availability. 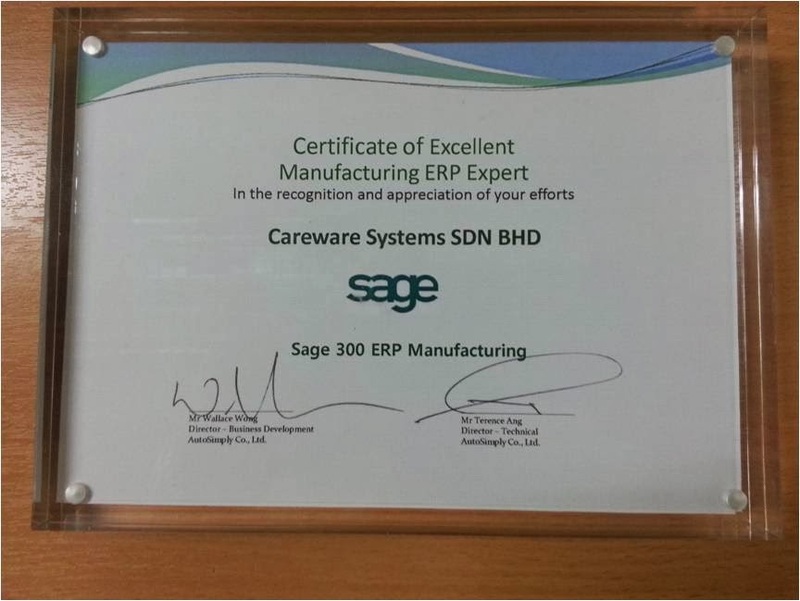 TAKATA AUTOMOTIVE SAFETY SYSTEMS has selected CareWare to implementation Sage 300 ERP for its Malaysia factory. TAKATA AUTOMOTIVE SAFETY SYSTEMS (M) SDN BHD has selected CareWare System Sdn Bhd for the installation and implementation Sage 300 ERP for its manufacturing facility in Malaysia. Takata is a leading global manufacturer of automotive safety systems employing more than 35,000 employees in 16 countries worldwide. The Asian operations (outside of Japan) are located in 6 countries. 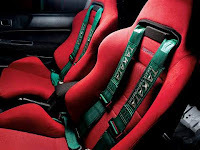 One of which is located in Shah Alam, manufacture safely systems for the local automobile industries. In the selection and evaluation process, Takata management through their experience in various countries, take into consideration that a large ERP Systems may be too complex and cumbersome and take a long implementation period, something between 8 months to a year. A midsized Integrated ERP system will be more suited for its Malaysia factory in view of it size and operation. Also the fast implementation Methodology proposed by CareWare really makes senses for SME. Sage 300 ERP - Financial modules. Sage 300 ERP - Manufacturing Modules. They expect to go live, in two to three months upon installation and reap the benefit of Sage ERP software as it integrates the flow of information between various business processes and integrate business transactions with company’s financial system and enables improved business decisions by making information from various parts of the business available to throughout your business operations. If you’re interested in learning more about how an ERP system can fuel growth and profits in your business, contact us here at Careware. We are the leader Premier Sage Business Partner located in Petaling Jaya, Selangor. We specialize in the implementation of Sage 300 ERP, Sage CRM. We work throughout the country in a variety of industries with a focus on manufacturing and distribution, project and Services, and education . The latest Info-Tech Research Group Vendor Landscape for CRM Suites for Small Enterprises, in which Sage CRM received the overall Champion Award as well as the Best Overall Value Award. Info-Tech evaluated seven competitors in the small enterprise CRM market - Maximizer, Microsoft Dynamics CRM, NetSuite, OnContact, Sage CRM, Salesforce.com and SugarCRM - and awarded Sage CRM as 1st overall out of the seven vendors evaluated in this space. • "Sage CRM offers a host of deployment options, a modernized UI that provides a true mobile experience, and some social functionality that differentiates the product from competitors." • "Sage CRM has the lowest TCO on the market and offers the most bang-for-the-buck, including a comprehensive feature set, usability, and architecture." CareWare introduces Spindle Professional Software in Malaysia. Kuala Lumpur, April 1,- CareWare, the Premier Sage Business Partner is pleased to introduce Spindle Professional from Draycir to Malaysia for the first time. Spindle Professional automates the collation, archiving, indexing and retrieval of documents from the Sage ERP and Sage CRM system. It saves and stores company documents in a secure and centralised location, allowing auditing and control tasks to be carried out more efficiently. Convenient retrieval of customer information enables the sales department to better handle queries, and thus communicate more effectively with customers. SME s can now incorporate Document Distribution Solutions from Spindle into existing applications software without having to uproot and disrupt their current operations. It is also compatible with major accounting systems including Sage 300 ERP & Sage CRM, Microsoft’s CRM products and many more. It can also be used with most programmes with printing functions, such as Microsoft Office applications, and Crystal Reports. Sage CRM 7.2 is now Available!!! 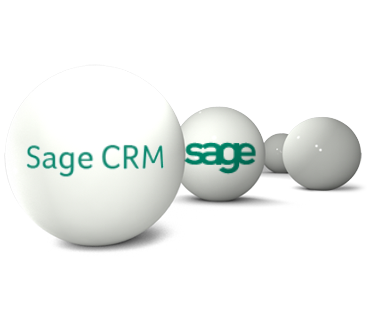 You can expect many good things to come from Sage CRM Developement team. It also has a vibrant Sgae CRM community. 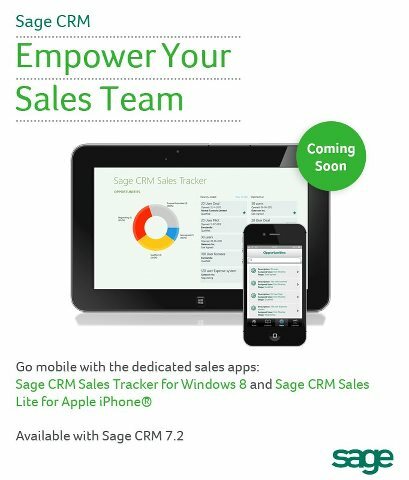 Empower your sales team with the upcoming release of Sage CRM 7.2 and our two new fantastic sales apps! Coming soon! 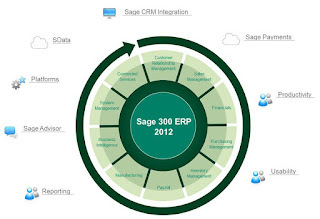 Sage 300 ERP 2012 will be available as of March 2013. Enhancements in this release simplify and improve the customer experience with easier access to information, streamlined processes, and increased mobility. 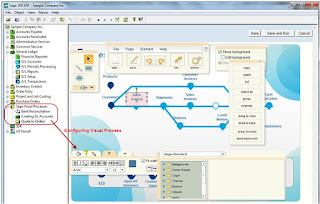 New Visual Process Flows provide a new graphical interface tool for navigating through the Sage 300 ERP 2012 system, and can be customized for specific business processes and user roles. Additional new customer-requested features will help complete transactions more efficiently such as Entered By, On Hold Reason, and Requested By fields in Order Entry, copy order and create PO directly from Order Entry, and reverse GL batches. Enhanced Business Intelligence Reporting and Sage CRM functionality help individuals stay connected, collaborate successfully, and reach business goals by improving visibility, simplifying forecasting, and mobilizing the workforce.